Hollow/ tubular ‘double braid’ – my solo method, plus openwork, color tricks, and jewelry ideas. Several color patterns taught for 6- to 10-loop hollow braids. February 23, 2013 in Color patterns, Double braids, Linking, Original braids, Tutorial. July 12, 2012 in Color patterns, Original braids, Readers' gallery, Spanish braids, video. 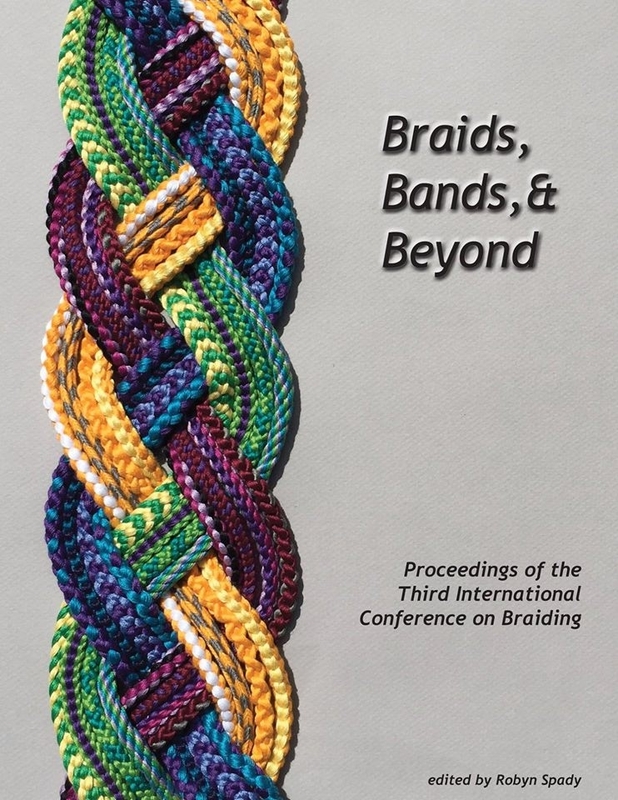 Update: Dominic Taylor will be teaching knotting at Braids 2016! His 2-day class is called Cylindrical Braids, which refers to nautical-type knotted ‘braids’ that can be formed around solid objects—like handles of tools, etc. Here are photos sent in by a reader, Dominic, of some of his “bicolor loop magic” braids. Beautiful braids, and the knotting he’s done with them (and other cords) is fantastic! May 24, 2011 in Knots, Starts & finishes, Readers' gallery. March 17, 2011 in Color patterns, Easy braids, Knots, Starts & finishes, Pick-up patterns, Spanish braids, Tips, Tutorial, video. January 4, 2011 in Double braids, Letter braids, Pick-up patterns, Spanish braids.